Fantastic day yesterday for our annual Le Tour de Staveley 2018 – huge thansk to all the riders, marshals, volunteers and of course Kendal Cycle Club. Thanks again for coming and a full photo gallery by James ‘Jumpy’ Kirby from Le Tour de Staveley 2018 will be available from 6pm Monday 16/07. THERE ARE A LIMITED NUMBER OF PLACES AVAILABLE ON THE DAY AS WELL AS FOOD ONLY TICKETS AND UPGRADES ON SKINNY RIDES. In association with Kendal Cycle Club – the friendly, social, sportive for all abilities! 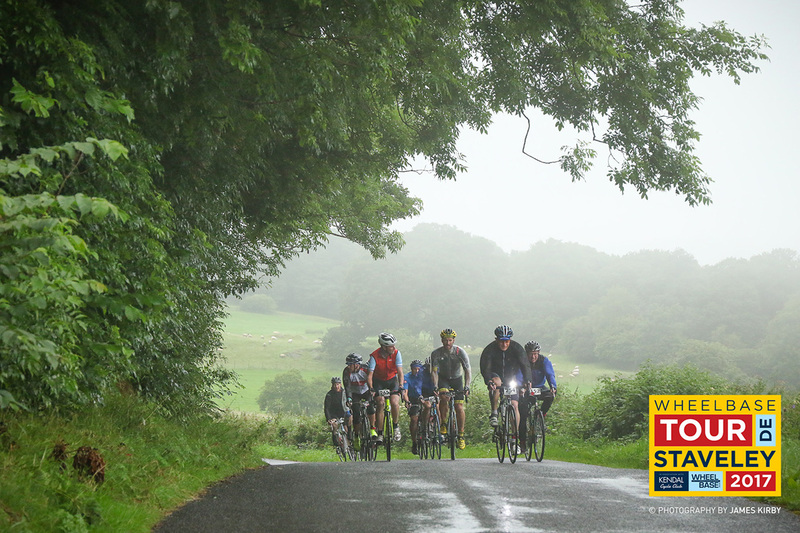 Now enjoying it’s 10th anniversary Le Tour de Staveley boasts two stunning Lakeland routes and in 2018 we have now partnered with the burgeoning Kendal Cycle Club with all proceeds from the event donated to further this energetic club. Starting at the UK’s largest cycle store WHEELBASE with a feed station positioned 3/4 at Hare & Hounds, Bowland Bridge. Both distances take in fabulous scenery and famous climbs before finishing with a 2-course dinner in served up by the Wilf’s with the days Tour de France action playing on the big screen. Le Petit Tour: 28 Miles Tour of Staveley: 48.5 Miles 3x ticket options inc post ride French meal & drinks. Main Course: Coq qu Vin or Veggie Sausage Cassoulet with Pomme frites, Boulangere Potatoes, French bread, mixed leaves and coleslaw. Desert: Tart au Citron or Crepes with chocolate crème pattisena.